1) Can men wear The Sneaker? If not, do you plan on making The Sneaker for Men? The Sneaker was designed with a woman's foot in mind. That being said, men could wear them if they so choose and if the shoe feels natural and comfortable on their foot. As for making The Sneaker specifically for men, we have no immediate plans, but you never know what we might have up our sleeve! Stay tuned to our newsletter to see if that changes. Some men in our office wear them, and most find that two sizes off our women's size fits their foot well (e.g., a men's 10 is a women's 12). 2) Do I need to wear socks? That's completely up to you! We designed the shoe to be worn without socks comfortably, but you certainly can pair them with socks if you prefer. 3) How do I clean the white outsole? You can spot clean the white outsole with a damp cloth or put it in the washing machine as you do with all of our other shoes. And remember; no heat! Machine wash with cold water and air dry. 4) How do I wash my sneakers? You wash The Sneaker like all of our other shoes, except for one very important note! The Sneaker has a removable midsole that we do not recommend washing. Ideally, separate the Midsole (the black extra piece under the knit insole) and throw everything else into the washing machine. Use a delicate cycle and gentle detergent and then leave to air dry. Once your shoes have dried completely, anchor The Midsole back into place and cover it with the insole. 5) What is The Midsole? The Midsole is the insert underneath the removable knit insole that we built into this model to maximize comfort and support. We do not recommend washing The Midsole, so please remove before washing the rest of the shoe. 6) How do I wash the removable insole? You wash the removable insole just like the rest of our models. Simply remove the insole and put it in the washing machine with the rest of the shoe, and remember to remove The Midsole for the best result. Machine wash cold with a gentle detergent and a delicate cycle and air dry. 7) Will The Midsole be available for the other styles? No. The Midsole is exclusive to The Sneaker. The Flat, The Point, and The Loafer cannot support The Midsole. 8) Why are they priced lower than the other styles? We're always innovating our production processes to make them more efficient. With The Sneaker, we were able to unlock efficiencies in our process that are specific to this model. This progress makes the shoe easier and slightly faster to produce, hence the lower price point. We're so excited to offer our most substantial model yet at $125. 9) Will you be making kids Sneakers? Not at this moment, but stay tuned to our newsletter to find out first if that changes! 10) What size should I buy in the Sneaker? The Sneaker runs true to size, so stick to your usual size in Rothy's. 11) How should they feel and fit on my feet? Like our other shoes, The Sneaker is meant to fit directly out of the box, without any break-in period. There may be some slight give if you wear them inside, but if they're not comfortable immediately, you should exchange them. The Sneaker has more enhanced comfort and support than our other models due to the addition of The Midsole. It has slightly more arch support than our other models, and it should feel snug on your foot, like our other models. There is a tiny bit of give, but it will not stretch out to a larger size. 12) Is The Sneaker made of recyled materials like your other models? The upper is made of 100% recycled plastic, just like our other models. 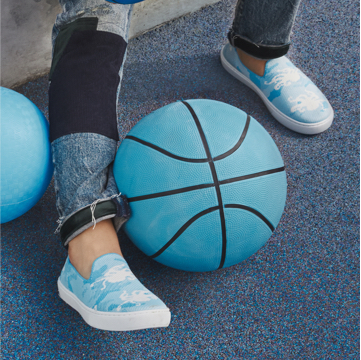 The outsole of The Sneaker is made of recycled TPU (thermoplastic polyurethane). 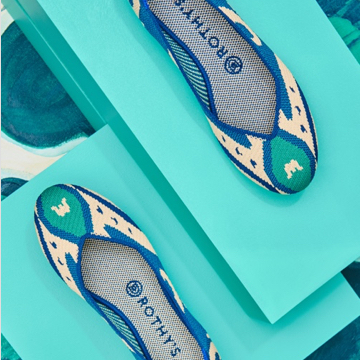 We're proud to make all Rothy's outsoles in house, which means we can utilize as much recycled content as possible during the production process. 13) Why do my shoes squeak? There may be some squeaking when you wear them inside at first. Don't worry; it will go away with a little wear!